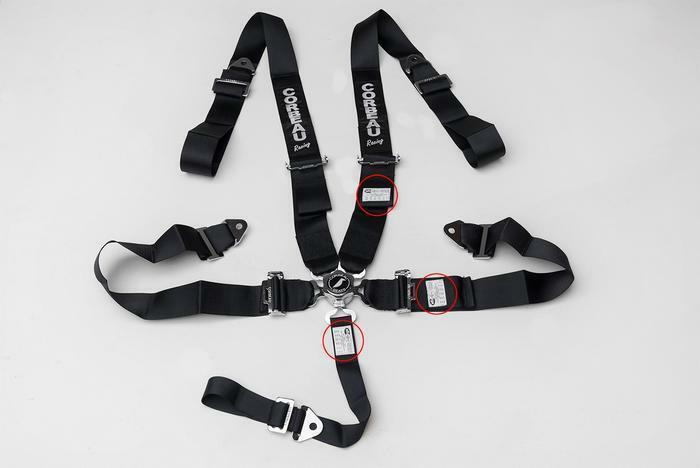 Corbeau USA of Bluffdale, Utah, is recalling about 2,000 5-Point Camlock harness belts. This recall involves 5-Point Camlock harness belts intended for use on off-highway vehicles. The belts have part numbers 53001B, 53007B and 53009B. These 5-point Camlock harness belts have five mounting points; two lap points, two points behind the seat and an additional strap between the legs. Only harness belts with a date code between May 2016 and May 2017 are included in the recall. The harness belts, manufactured in China, were sold at CJ Pony Parts Inc., Latemodel Restoration, Transamerican Auto Parts and other aftermarket auto parts stores nationwide and online at www.corbeau.com from April 2016, through April 2017, for about $150. Consumers may contact Corbeau USA collect at 801-255-3737 from 9 a.m. to 5 p.m. (MT) Monday through Friday, by email at info@corbeau.com or online at www.corbeau.com and click on “Product-recall” for more information.